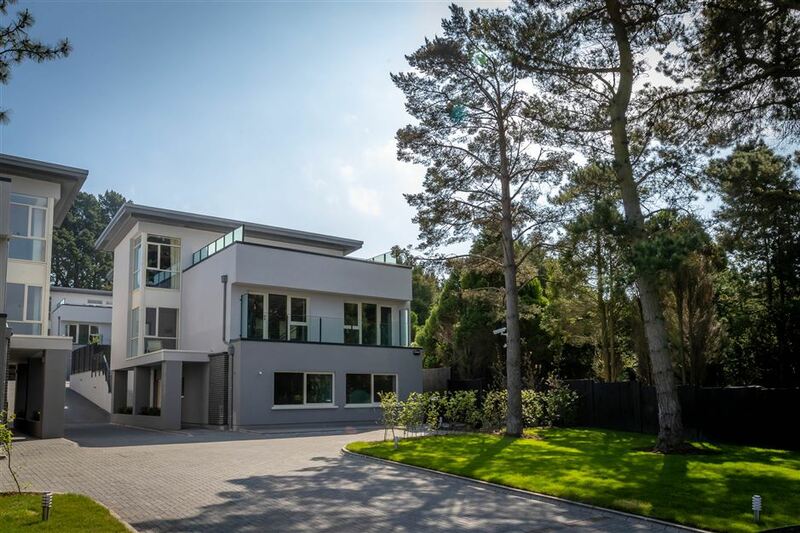 Condor is a boutique development of 4 large detached five bedroom luxurious family homes situated on the highly sought after Church Road in Killiney. Church Road is very well situated with easy access to the M50 motorway. The houses are being developed by Lioncor Developments and extend to approximately 345 sq.m or 3,713sq.ft . Each house will benefit from a modern air to water heat pump providing both heating and hot water in a modern fuel efficient manner. Stunning contemporary wardrobes are supplied by KUBE. Whilst the sleek modern kitchens also supplied by McNally Kitchens will include high end Miele appliances. The bathrooms and en-suites will feature high quality sanitary ware by Villeroy and Boch. The aluclad windows are supplied by Carlson and together with the most modern building technologies means that these family homes will benefit from an A energy rating. All houses are fitted with electric car charging points as standard. The surrounding area hosts a myriad of recreational activities, hill and coastal walks at Mullin’s & Killiney Hills, a number of vibrant and picturesque bathing areas at Killiney Beach, White Rock and the Forty Foot, not to mention Dun Laoghaire Harbour which houses four waterfront yacht clubs. There are a number of private and public schools all easily accessible. Castle Park School is interdenominational and hugely popular, St Josephs Cluny, Rathdown, Holy Child, St Gerard’s & Loreto Dalkey are all within immediate access. Willow Park, Blackrock College, St. Andrews and St. Michael’s are just a DART trip away. Killiney Shopping Centre offers day-to-day shopping and services with a range of boutiques, cafes and shops. Dalkey, Glasthule & Sandycove with their specialty shops, delicatessens and restaurants are all close at hand. The area is well serviced with public transport, The Dart & numerous bus routes offering transport to and from the city centre, the nearby M50 provides ease of access to the airport and the Luas at Cherrywood are just a short drive away.